Công ty Môi Trường Hành Trình Xanh hân hạnh là nhà nhập khẩu và phân phối độc quyền sản phẩm Màng lọc cho các ứng dụng Vệ Sinh Siêu Sạch SANITARY _ KOCH - USA tại Việt Nam. Chúng tôi cam kết cung cấp sản phẩm và dịch vụ tốt nhất tới Quý Khách hàng. KMS sanitary elements are innovative sanitary spirals using high-quality construction standards. Used in a variety of applications that require complete cleaning and sanitization, these spiral elements are designed to facilitate easy cleaning and conformity with manufacturing practices and regulation in the sanitary field. KMS sanitary spirals demonstrate long life and low-cost operation in various food and beverage applications, such as gelatin concentration, juice color concentration, protein concentration and purification and sweetener clarification. 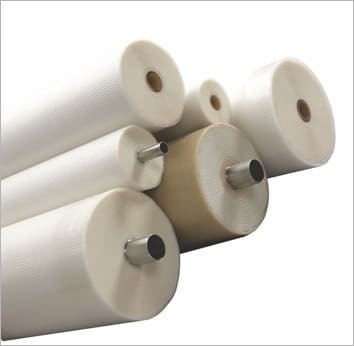 Sanitary net-wrap elements are used in a variety of applications that require complete cleaning and sanitization. These elements are designed to facilitate easy cleaning and conformity with manufacturing practices and regulation in the sanitary feld. 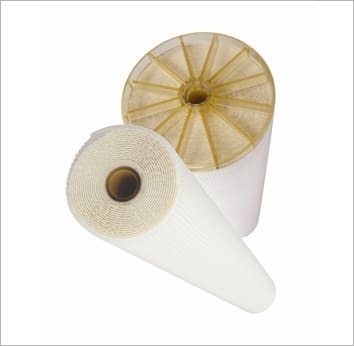 Dairy-Pro™ sanitary spiral wound elements are an enhancement of KMS’ standard sanitary net-wrap elements. While the Dairy-Pro elements continue to be designed to meet the sanitary and regulatory requirements of the dairy industry, they oﬀer additional benefts to dairy customers, such as increased productivity, reduced energy usage, improved blister-resistance, expanded CIP capabilities and higher operating pressure capability. XL-1000 sanitary spiral wound elements were developed for diffcult applications that operate at extreme solids concentrations, high viscosity, increased pressure drop or higher operating temperatures. KMS’ patented fused-fold technology oﬀers the most durable and cleanest fold protection in the industry, using advanced construction techniques to enhance the element life. HpHT sanitary spiral wound elements are High pH and High Temperature tolerant. With capability of routine cleaning up to a pH of 12.5 and temperature up to 185°F (85°C), HpHT elements can be eﬀectively cleaned without the use of chlorine. The expanded operating limits of these elements can also allow processing at higher temperature than non-HpHT sanitary elements. SPIRAPRO sanitary spiral wound ultrafltration elements are used in applications that require strict quality certifcates along with USP Class VI validation, such as the pharmaceutical market. The construction of the elements meets the same standards as the sanitary net-wrapped elements. All raw materials from the elements have passed USP Class VI extractables testing.